What if we do not need to store biological samples in refrigerator before analysis ? This would allow to send samples for special analyses to labs even from remoted areas and people could get more adequate diagnosis and subsequently also treatment even in areas without electricity, refrigerators and freezers. Are Central European countries attractive for vaccine manufacturers? According to the latest news on new or expanded factories, yes. It is only a pity that Slovakia has not yet attracted any such vaccine manufacturer or developer- this can be interesting among other reasons also due to presence of highly qualified people in life sciences in the country and also due to latest rules regarding tax deductions of expenses for R&D and a new “patent box” law affecting positively tax height from patented product sales. Hard to believe but Zika virus can be in future used to fight brain tumors. It might be that the Zika virus research will instruct people how to defeat the most aggressive tumor types- tumors of CNS. Slovak and Austrian scientists explain why lactoferrin posses its anticancer features. This protein from human milk inhibits spreading of cancer cells. All people working in the biological field are aware of importance of refrigeration of biological samples as plasma, urine, blood, etc. Rapid destruction of proteins, nucleic acids and metabolites observed at room temperature lead to incorrect and misleading results, sometime even impossibility to analyze a sample. What if there is a technology which can preserve important molecules like proteins in samples in such way that they can be just placed on a filter paper and sent to a laboratory for analysis? Through the deal to buy Nanotherapeutics in the Czech Republic (72 mil EU deal), Serum Institute of India will get a former Baxter flu vaccine factory in the Czech Republic. This plant has an ambition to become the largest injectable polio vaccine factory by capacity in the coming years. The investment to get the plant up and running is planned up to 40 mil EUR. Injectable inactivated polio vaccines are according to WHO recommended to be used for vaccination against polio. GSK is expanding with its vaccines sales and it needs to expand also manufacturing of the vaccines and its components. The Hungarian factory in Gödöllö will be enlarged by the 40 mil GBP investment. The production of diphtheria toxoid and tetanus toxoid will be moved from GSK’s Marburg production site in Germany. It is hard to believe that it can be something good on Zika virus in humans. Zika virus infect predominantly neural stem cells and is therefore more harmful to developing fetus than to adult humans. Scientists in Brazil wanted to figure out whether the virus also attack tumor stem cells in the central nervous system (CNS). And they succeeded. By focusing on embryonal CNS tumors, which are very aggressive and which are manifesting shortly after birth or up to adolescence, they showed on tumor cell lines and in cells-induced mice tumors that small amounts of Zika virus is able to infect these cells and in parallel, destroy cells and the cell-induced tumors. The mechanism behind cells and tumors destruction is apparently oncolysis. In addition, human adult neural cells were neither infected by Zika virus not destroyed at the dose used. Research also suggest that other tumors of CNS like glioblastoma can be also feasible targets for Zika virus-related destruction. There are of course still more questions than answers but what if such kind of approach can work? This is not of course a first example of an oncolytic virus use for cancer treatment (see e.g the very recent up to $1 Billion deal of Janssen). It might be that the Zika virus research will instruct people how to fight one of the most aggressive tumor types- tumors of CNS. Plasminogen system belongs to important systems in human organism, above all it removes protein aggregates, especially fibrin clots. If it does not work properly, one can get thrombosis and this can be a life-threatening state. On the other side, as many other molecules in human body, plasminogen is involved in different pathological processes, just to name tumor cells dissemination, neurodegeneration and various inflammatory disorders. Slovak and Austrian scientists found that the human glycoprotein from human milk- lactoferrin- can inhibit plasminogen activation by direct binding to it. Lactoferrin was able to inhibit tumor cells invasion. In addition to that, lactoferrin also inhibited plasminogen activation by a microorganism species Borellia. Dr. Vladimir Leksa, the scientist at the Molecular Immunology Unit of HAI, CePII, MUW, Vienna, Austria and at the Slovak Academy of Sciences (SAS), Bratislava, Slovakia: “Lactoferrin is a long time known as an immunomodulatory molecule with antimicrobial and antitumor activities. Thus, to use lactoferrin for treatment is not a new concept. It is a milk protein, which makes it biologically safe for such type of studies. Its function as a plasminogen activation inhibitor revealed by us was so far not known and may explain many of its biological activities. According to our data, it targets cell-associated plasminogen activation resulting in inhibition of cell migration, including tumor cell and bacteria invasion. We are planning further mouse experiments to support and explore further the findings”. 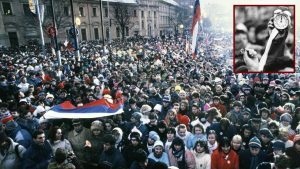 One non-scientific article about my country, our journey since 1989 and our success. 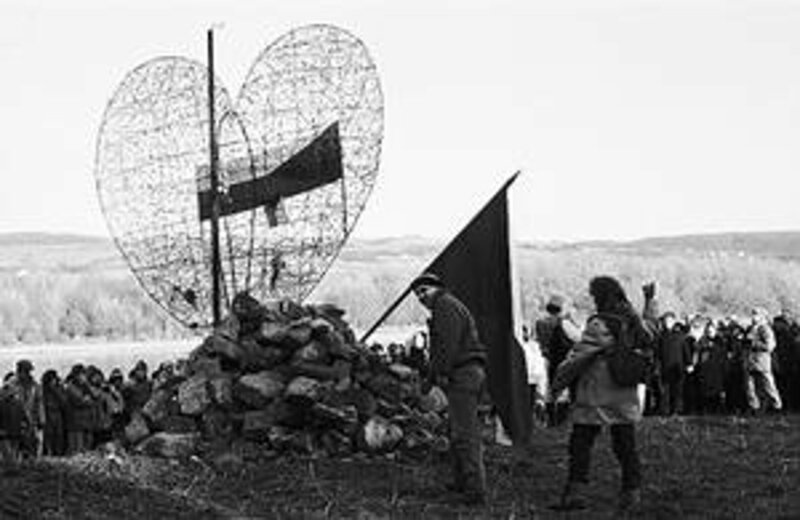 Twenty eight years ago our country woke up. 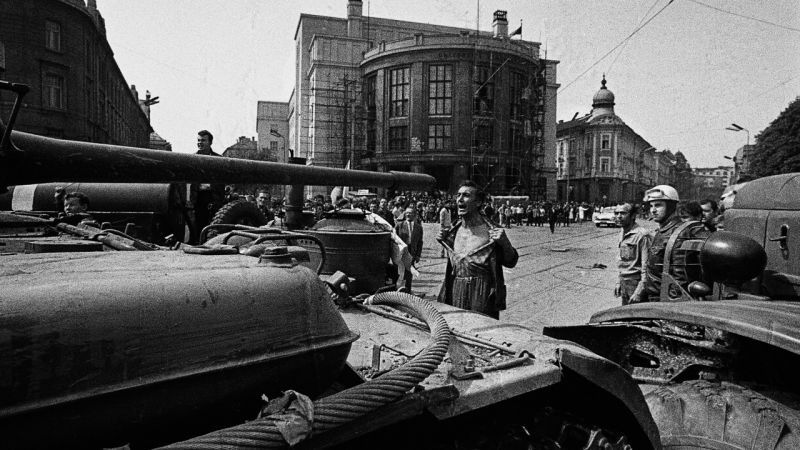 We, students went into streets in Czechoslovakia and our parents could not believe that this time freedom was coming. They had their experiences from 1968, time when many of us, their children, were still not even born. In 1968, a small Czechoslovakia was attacked by „friendly armies“ from all directions and nobody cared. Again. When I have a look back on these 28 years, our country has changed a lot since that time. We have our own state, we are belonging to the developed world and we have managed to grow with an enormous rate. And our sons and daughters, who are already working, are becoming a new and fresh generation who will soon direct where Slovakia is going. We, former students of the Velvet revolution ´89, can just say that freedom did not come automatically and it was not for free. Today, Slovakia, as a sovereign state and a valid member of the European Union and NATO, is growing and progressing continuously. And it is doing a good job. Slovakia is Peter Sagan, one of the best cyclists in the world. Petra Vlhova and Veronika Zuzulova, excellent skiers. Marek Hamsik, a professional footballer, serving as the captain for the Italian club Napoli. 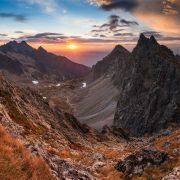 Slovakia means also beautiful mountains, lakes, natural springs and spa, places for holidays, leisure, sport. Slovakia is the first in the world in car production per capita, with factories of Volkswagen, Kia, Peugeot-Citroen and in building Jaguar Land Rover. Slovakia is Amazon with its biggest reverse logistic center and the corporate office. Slovakia is Dell and IBM. Slovakia is Eset, the Slovak IT security firm with branches in 180 countries of the world. Slovakia is also Highchem s.r.o, a biotech company which with its technology and database is helping pharmaceutical companies, intelligence services, mobile and IoT providers and many others. Slovakia is Jan Vilcek, a professor, born in Bratislava, living and working in USA, co-inventor of Remicade. Slovak people are behind Sli.do and Staffino.com. Slovak people are in Google, Microsoft, Apple, Amazon, Facebook. And about 30 Slovak people are working as EMA staff. Slovakia is also the demining set Bozena, which is preventing thousands of deaths by removing mines in mining fields. I apologize for all those I have not mentioned. It would be a long list of Slovak successes and successful Slovak people. We are happy that many people are already returning home from abroad after they obtained valuable experiences and skills. They are bringing a fresh air and new work and living styles. We are not only demanding, we are also offering. We are not only listening, we are speaking. We are not only using, we are creating. We are not only awaiting, we are active. We are not only complaining, we are solving. 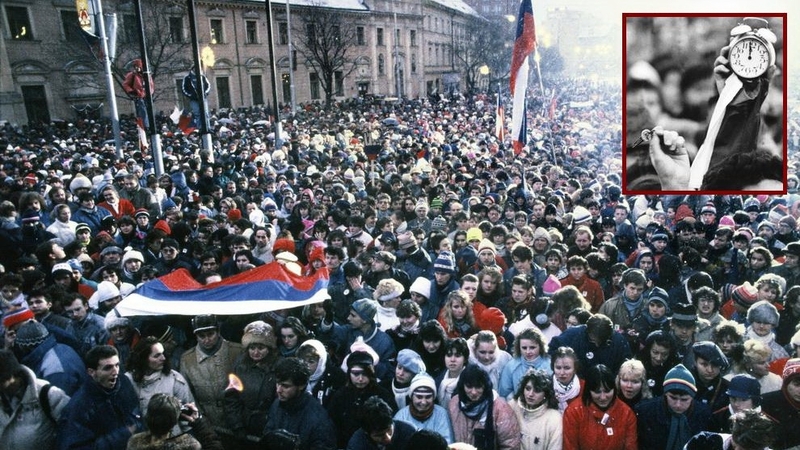 Slovakia has changed a lot since November 1989. We are free. And you know what? Even if the European Medicine Agency will not be moved to Slovakia, we will continue with our progress. Despite many historical disfavours, we are going forward with heads up and we are proud on our country, Slovakia. 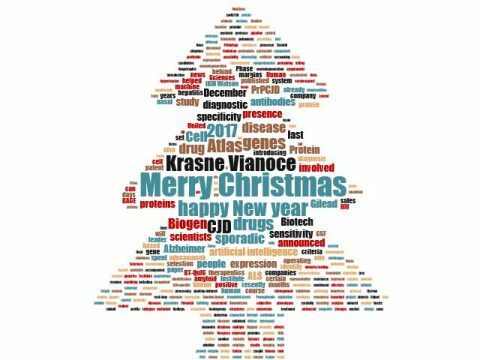 It seems that my regular blog became irregular:-) Nevertheless, I am continuing exploring the biomedicine world and I will bring from time to time some interesting news and opinions. Processes which lead to development of Alzheimer´s disease (AD) start according to some scientists already 20 years before the disease is clinically manifested. Treatment at time of confirmed AD seems to come too late to reverse damage already done and to stop further disease progress. We still do not know why somebody gets AD and somebody not. Drug development failures over the recent years in very late clinical stages can reflect the fact that we try to treat too late and/or we are focusing on consequences and not on triggering events. Biomarker research in AD is a drug development accompanying process and it seems that scientists have another piece to the whole puzzle. Researchers from the Boston University School of Medicine assessed 217 circulating metabolites in more than 2000 dementia-free participants of the Framingham Offspring Cohort Study over many years. 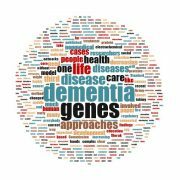 They identified four biologically plausible candidate plasma biomarkers for dementia. A significant association between higher plasma antranilic acid levels and increased risk of incident dementia was found. This acid is a part of the kynurenine pathway which is the main pathway for degradation of an essential amino acid tryptophan (precursor of serotonine). All in all, this analysis shows an importance of looking at more wide angles as we have done until now in AD. Medicxi, a life sciences-focused investment firm, grown from the the Index Ventures and started operations in 2016, has got a huge financial injection, $300m from Google (via its Verily), Novartis and the European Investment Fund (shareholders of the EIF are the European Investment Bank, European Commission and public and private financial institutions and banks). Their Medicxi Growth 1 fund will help European biotechnology companies and institutions to develop therapeutical products from Phase II and further. This initiative is apparently focused on improvement of an access to financing of European health biotechnology sector, regardless of whether private or public. Situation in Europe is much worse than the situation in US in this area. Medicxi also invests into early-stage companies and even starts and grows companies out of labs, academia or Pharma. Along with Novartis, another two world-class pharmaceutical companies, GSK and J&J, are also strategic partners of the company. 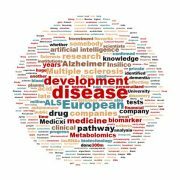 Diagnosing Multiple Sclerosis with a blood test? Multiple sclerosis (MS) is an autoimmune disease, affecting more than 2,5 million people world-wide. Diagnosis of MS is usually confirmed after brain MRI, cerebrospinal fluid testing and several clinical criteria. There are however attempts to diagnose MS and other autoimmune diseases from blood. IQuity is developing an RNA-based tests which are based on their technology licensed from the Vanderbilt University. The tests focus on determination of the molecular portrait of long non-coding RNAs (lncRNAs). As the company previously showed, one lncRNA was differentially expressed in rheumatoid arthritis patients and it responded to therapy. lncRNAs expression pattern is very specific for a particular type of a cell. By using the Isolate MS kit, one can determine so far whether somebody has the disease or not. Further development and definition of clinical criteria are needed to be able to assess the progress of the disease by such tests. I have observed the US company Insilico Medicine already for some time. They use artificial intelligence and deep learning for mining of knowledge about aging and other areas and apply this knowledge for biomarker research and drug development. I like such systemic approach which does not focus just on one pathway or one target but take in account all available information about a disease published. E.g, with more than 27 million papers in PubMed, huge amount of knowledge is already out there. Insilico Medicine has recently launched ALS.AI, a personalized drug discovery and biomarker platform for Amyotrophic Lateral Sclerosis, a deadly rare disease affecting nerves and muscles. “Insilico Medicine used its pathway activation analysis algorithms to identify the dysregulated pathways that were associated with the patient’s ALS disease….The collaborator is validating the newly identified treatments before they may be used to treat the patient (some of the medications were approved by FDA for the treatment of other diseases)”. After a non-voluntary break, here is again my MedScan. This time it is dedicated to a woman who is not anymore with us. Good night, Julia. Parkinson´s disease drug candidates are good for mice but are they also good for humans? Yale researchers have been curious why so many Parkinson´s disease drug candidates failed to translate promising results found in animal studies to humans. After evaluating more than 500 animal and human studies, they found that humans are not the same as mice. But, seriously, something is not correct with the design of the animal studies. Findings on either symptomatic or prospectively disease modifying candidates showed no real differences. And what have been the most interesting findings? Using predominantly males, interventions given too early before or right at the onset of the PD in a model animal, less commonly measured clinical outcomes and single time point assessment of outcomes. In contrast, PD experimental treatment is given to humans with developed disease, both sexes are tested and appropriate clinical outcomes are measured at multiple time points. Time to find where we are lost in translation. And definitely not only in PD. Researchers studying approval times for drugs in US by FDA and in Europe by EMA (note: EMA is evaluating and recommending drugs for approval or refusal and it is the European Commission which is at the end approving marketing authorization in Europe) clearly showed that there are differences between them. FDA needed less time for approval in comparison to EMA evaluation and this gap is increasing in recent years. Also, FDA approved more drugs than its European counterpart. As I showed in my report on authorized drugs in 2015 in Europe (free for download on my website), the situation is even more different in number of new drugs firstly approved in Europe. Most of the new drugs in EU had been approved firstly in USA- more than 77% and only after that they were approved in EU. Some of the new drugs had been approved in USA years before EU, some only a few days. As I mentioned in my report, this could reflect preferences of companies applying for market authorisation, different lengths and requirements of authorisation process in USA and in EU, an attitude of authorisation agencies to certain treatments and potentially also differences of drug development activities in Europe and USA. Cracking the code of Huntington’s disease? Huntington’s disease is caused by a gene mutation that causes a protein to build up in the brain. In a world first, EPFL scientists have synthesized and studied modified forms of a mutant part of the protein, deepening our understanding of how it contributes to the disease, and pointing to new therapeutic strategies for treating it. Despite of importance of a huntingtin gene mutation in development of Huntington’s disease, post-translational modifications of the huntingtin protein like phosphorylation and acetylation have their roles in onset and severity of the disease. EFPL scientists focused on the mutant huntingtin exon1 (Httex1) which “has been shown to be sufficient for reproducing key features of Huntington’s disease in animal models”. Using chemical and bacterial synthesis of the mentioned Httex1, researchers paired modifications of the protein to structural changes and characteristics. They found a protective phosphorylation on position 3 (T3) which interferes with the huntingtin’s ability to aggregate, mimicking threonine with another similar amino acids did not fully reproduced these results. Finally, they also showed an impact of acetylation on three lysin amino acids. One acetylation reversed a protective effect of the T3 phosphorylation. Next steps would be to find enzymes which are involved in these processes and eventually use them as targets for HD drug development. Teva can be satisfied, its Austedo has been approved by FDA for treatment of Huntington’s disease chorea and it is only the second FDA approved drug for HD. What is special on this drug is the fact that it is the first approved drug containing the “heavy” hydrogen, deuterium. This substitution of hydrogens in tetrabenazine showed slowing down of drug metabolism and thus decreasing amount of a drug needed for the same effect. Austedo was waiting for several months for approval since it showed “certain” metabolites found in patients. The drug was approved accompanied by warning on depression and suicidality. 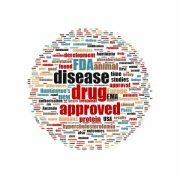 Another application for tardive dyskinesia is under Priority Review at FDA. For those interested in deuterated drugs in general, here is the patent and development review from 2014. It is obvious that big pharma companies like Pfizer, Merck, GSK, Roche and others tested potential of such drugs. However, it was Auspex (acquired by Teva for 3,5 billions dollars 2 years ago) which had the most progressed clinical studies with its SD-809, now Austedo. The second in the row seem to be Concert Pharmaceuticals and Avanir with their deuterated dextromethorphan (AVP-786) in Phase III for Alzheimer’s agitation and in Phase II for other neurological conditions. Very recently, the Regeneron´s evinacumab, received the FDA’s Breakthrough Therapy Designation status. Evinacumab is a monoclonal antibody to angiopoietin-like protein 3 (ANGPTL3) for treatment of homozygous familial hypercholesterolemia (HoFH) patients. This type of a rare disease can lead to increase of cholesterol as high as 1000 mg/dL and people suffering from it have already before the age of 20 signs and symptoms of atherosclerosis cardiovascular disease. This mAb inhibits lipoprotein lipase and endothelial lipase. The FDA status was based on positive interim Phase II results (from 4 patients) from last year. Another Regeneron´s cholesterol-lowering drug co-developed with Sanofi, targeting PCSK9 and approved for heterozygous familial hypercholesterolemia (Praluent), is not performing in sales as good as it was expected. Also, there are issues with patents and Amgen (Repatha). 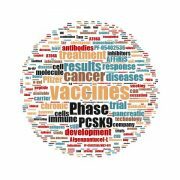 What has caught my attention in Pharma, Biotech, Biomedicine and Science in the last two weeks? Here is a selection of the news, articles, papers, findings, risings, falls as I have read, heard, discussed, been involved in. Very subjective, not pretending to be comprehensive or representative. Just my selection. We all know a bad reputation of cholesterol and efforts to decrease it in order to beat cardiovascular diseases. Also, we know that without cholesterol, steroid hormones and cell walls could not be built. It is also known that cholesterol has regulatory functions in cell proliferation and development and its increase by high fat diet leads to increase of cancer incidence. 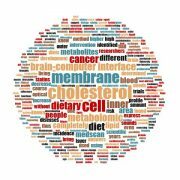 Interestingly, they also found in more cancer cell lines that the percentage of cholesterol in the inner membrane layer is higher than in normal cells. This high presence in the inner membrane layer of cancer cells has been significantly decreased by statins, which to certain extent might contribute to the observed effect of statins on lowering of cancer incidence. Imagine that you are completely locked in your paralysed body, without possibility to move even with your eyes or without eye blinking. And your brain is still fully working. How to express your wishes, thoughts, needs, love? Such state is known as a completely lock-in syndrome and it means exactly how it sounds. International team of researchers from Germany, Switzerland, China and USA managed by using a non-invasive brain-computer interface to get meaningful answers from completely locked-in people. And answers where obtained by thinking. It sounds like a sci-fi, does not it? It is not. And patients with amyotrophic lateral sclerosis could express even that they are happy despite extreme conditions. Somebody could at last listen to them. What was the brain-computer interface used in this small study? It was near-infrared spectroscopy combined with electroencephalography, and blood oxygenation and electrical activity in brain were measured. The method of course needs to be used on higher number of people in order to conclude its effectiveness, these first results, thought, are very promising and bring hope for those who cannot communicate via other tools. What we exactly eat is detectable by determination of certain metabolites in our blood. Researchers have created a metabolomic profile of obese people exposed to different diets and from this profile they correctly identified the test diet with more than 95% accuracy. Not only the adherence to certain dietary intervention in clinical trials can be thus checked, it can also bring more light on pathways linking diet to chronic diseases risk. Clinical trials assessing certain dietary interventions usually suffer from relying on participant information and notes. But it is possible to figure out from blood what food groups were eaten. Using liquid chromatography-tandem mass spectrometry, American and Estonian researchers analysed 333 metabolites in a clinical trial and 152 identified to have different concentrations in different diets. Not surprising examples are diacylglycerols, triacylglycerols but also other metabolites were present such as branched-chain amino acids and markers reflecting metabolic status. “Analysis also suggest differential effects by diet on numerous cardiometabolic diseases risk factors”. Metabolomics is one of the exciting and very informative scientific area. In connection to dietary intervention, there is not so many scientific articles, rising gradually in the recent 7 years. It will be interesting to have a look on findings here. Definitely, metabolomics has its stable seat in a biomarker area but of course also in drug development and basic understanding of physiology and cell biology. Freezing weather, a lot of snow, simply winter like I remember from my childhood, such have been recent weeks in my home. Surprising or not, a sale ban on the novel PCSK9-targeted hypercholesterolemia drug Praluent (Sanofi, Regeneron) was released by the U.S federal judge in USA with a 30-day appeal period. A little bit older information, but still worthy to have a look. The Alzheimer´s Funding Analyzer (AFA), which is the service launched by the Journal of Alzheimer´s disease (JAD) now includes also grants from the Alzheimer´s Association. ”The AFA allows the end-user to conduct line-of-investigation queries (e.g., tau, ApoE4, vaccine) to look for funding trends and to see which investigators in which countries have been the most successful in obtaining funding for a given area of AD research.” Helpful, for free, and easy to use, however requiring registration and the JAD approval. Digitalis, a venture fund from California, USA, announced launching of a new fund which will finance projects of seed- and early-stage companies at intersection of life sciences and computing. There is a clear gap for funding such projects. “The firm is also actively looking to co-found new companies that demonstrate promise in solving major health challenges”, with 3 investments already happened, as for example the Second genome leveraging a computational microbiome platform. 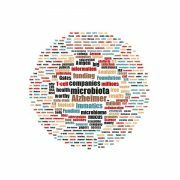 Microbiome-related research and development activities are on rise in recent years. 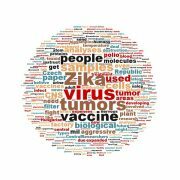 More than 7 000 scientific entries in PubMed in 2016 is more than 7-fold increase in comparison to 2010 on search terms like microbiota or microbiome. We are getting more information on how our microbiome contributes to our health and diseases. But still, we are at the beginning of this way. One cannot imagine that billions of foreign cells with all their genetic information, proteins and metabolites will be inert in our body. And they are not. According to the paper published in the Cell by Luxembourg researchers, “fiber-deprived gut microbiota promotes aggressive colitis by enteric pathogen” and “low-fiber diet promotes expansion of colonic mucus-degrading bacteria”. Simply said, if we do not feed our microbiota by high-fiber foods, then they will look for nutrients in our mucus and damage our colonic mucus barrier. Interestingly, highly purified fibers like inulin which are often taken as prebiotic supplements, do not alleviate degradation of the mucus layer. Another small German biotech signed a deal with a big biotech company. After successful sale of the Ganymed Pharmaceuticals for EUR 422 millions with a possibility on future EUR 866 millions in contingent payments and the BioNTech entering a $ 310 millions plus milestones collaboration with Genentech last year, Immatics is another German biotech company succeeding in signing an agreement worthy possibly millions. Immatics got thirty millions dollars as an upfront payment with possibilities to get more than $ 500 millions in milestones and further money in two-digit royalties from Amgen on developing next-generation T-cell engaging bispecific immunotherapies for multiple cancers. Both companies bring to this collaboration their unique technologies, Immatics their XPRESIDENT target discovery and T-cell receptor (TCR) platform and Amgen their Bispecific T-cell Engager (BiTE) technology. Only a big player could push other big ones to change their rules. One of the most influential health charity does not allow to publish results of work funded by its money in journals which do not have an open-access policy like Nature, Science, New England Journal of Medicine and PNAS. Gates Foundation argues that results of work funded by the organization should be available to all. Similar requests were in the past asked e.g by NIH and also by The Welcome Trust (allowing certain time embargo). At the end, any funding body either private or public could ask for something similar which basically means that all papers should be freely accessible. When you think about it, it seems logical. Truth is, however, that open access in most cases does not come for free for authors. Journals could ask thousands of dollars in exchange to publish an article which is open for free for readers. Let´s see how all the activities and issues in many fields of scientific publishing industry end up. My MedScan in cw49/50. As a gift were a few days spent in hot mineral waters just in middle of the hectic month. Let´s see whether in December announced positive results from the Biogen´s Phase Ib titration study with aducanumab will be translated into an Alzheimer´s drug, transforming our lives. And, I wish you all very Merry Christmas spent with loved people and without stress. Part of the Sweden-based Human Protein Atlas, the Cell Atlas, was launched in December. The Cell Atlas shows a location of more than 12 000 proteins in more than 30 cellular structures and opens the way for “spatial proteomics”. Basis for the Cell Atlas are 56 cell lines “selected to represent various cell populations in different organs of the human body”. Protein expression is accompanied by mRNA expression profile for all human genes. What I find interesting is a possibility to submit antibodies and get recognized as an antibody provider fulfilling high Human Protein Atlas criteria as the antibodies are always carefully validated there. Furthermore, for proteins for which there are no other antibodies available, this validation is for free. Prion diseases as CJD can definitely be confirmed in brain tissue by CJD-specific abnormal prion protein (PrPCJD) presence. In between, CJD diagnosis employs a set of characteristics including presence of dementia, characteristic changes seen in EEG, presence of certain proteins in CSF and abnormalities in magnetic resonance imaging. Due to variable phenotypes of sporadic forms of CJD, sensitivity of diagnostic criteria for sporadic CJD based on the analysis of probable and definite cases has been 83%, with a specificity of 71%. By introduction of the real-time quaking-induced conversion (RT-QuIC) assay which detects femtograms of PrPCJD from all subtypes of sporadic CJD, sensitivity and specificity has been increased. Italian scientists published recently a paper in JAMA introducing a diagnostic algorithm based on the RT-QuIC of PrPCJD from CSF and olfactory mucosa (OM) samples with introducing a gentle nasal swab procedure for OM. To date, for clinically suspected sporadic CJD their diagnostic flow provides a sensitivity and specificity of virtually 100%. A limitation of this study is that all patients were already symptomatic. Three Biotech companies with the best operating margins, are according to the article in Biospace, United Therapeutics, Gilead Sciences and Biogen. United Therapeutics as a leader in pulmonary arterial hypertension (PAH) with 5 drugs marketed has the most successful drug Remodulin, accounted for one third of the company revenue in 2016. Potential challenges to the company is patent expiration and entrance of generics in 2018. Gilead Sciences is a leader in hepatitis C market, with Sovaldi and Harvoni “accounted for $ 20 billion in sales last year”. Gilead however also faces the biggest patent infringement issue in the U.S and after a jury decision on December 16th , it is ordered to pay to Merck about 10% of the hepatitis C drugs sales. Biogen with its multiple sclerosis drugs Avonex and Tysabri enhanced by Tecfidera “maintain an industry-leading operating margins of 49,3% over the last 12 months”. As I already mentioned, a few days ago Biogen announced positive news from its Phase Ib study with an Alzheimer´s disease (AD) drug candidate aducanumab. A disease modifying or a preventive drug in AD will be, once found, worthy of tens billions of EUR. Artificial intelligence (AI) represented by IBM Watson helped scientists from Barrow Neurological Institute identify new genes connected to ALS, a deadly neurodegenerative disease. Top ranked genes from a gene set identified by the AI were further explored by the team of scientists and 8 genes proved to be associated with ALS. IBM Watson and a robust database behind accelerated gene identification which would normally took years, instead of a few months needed for the machine (and of course for people teaching a machine to learn). And there is another work in biomedicine for artificial intelligence, as announced recently. The same system will help to identify basis behind cancer treatment resistance, for MIT´and Harvard´s Broad Institute in a 5-year, 5 million USD project. A paper from University of Pennsylvania published in the American Journal of Pathology brings evidences that certain HIV drugs known as protease inhibitors can have toxic effects on the central nervous system via increasing of BACE1 expression. BACE is known to be involved in processing of the amyloid precursor protein APP into Aβ which is the main component of amyloid plaques, one of the culprits of Alzheimer´s disease pathology. BACE has been also a target of several AD drug candidates in pipeline. Another enzyme, PERK, has been found to be significantly involved in this process. Are you impressed by big numbers of many biotech deals? There is a lot of announcements at time of the deals signature. However, it is usually a well kept secret when an agreement is over after a few years or even a few months, not fulfilling all the milestones payments announced. In-front payments of the deals are in many cases only a small part of the overal „possible“ deal. Upfront payments depend on a risk appetite of a licensee and willing of a biotech company to share development risks and uncertainties. Thought we can be still impressed by high upfront payments paid by some big pharma. 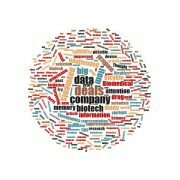 „STAT analyzed nearly 700 biotech licensing deals inked over the past four years and found that biobucks hugely outweigh actual cash on the barrelhead. On average, just 14 percent of the total announced value was paid out upon signing“. In light of the previous input, a company called Bicykle Therapeutics entered into a fantastic 1 billion deal with AstraZeneca. What interested me is the technology this company has offered to AZ. The company acquired a platform from MRC Laboratory of Molecular Biology in Cambridge, UK for identifying of proprietary bicyklic peptides,or Bicykles. „Bicycles® are a breakthrough new therapeutic class that combine antibody-like affinity and selectivity with small molecule-like tissue penetration, tuneable exposure and chemical synthesis“. Bicykle Therapeutics develops „bicykle drug conjugates“ (BDC, e.g with toxins) in oncology field and shows higher availability and targeting of tumours than monoclonal antibodies. „Biomedical research is going big-time: Megaprojects that collect vast stores of data are proliferating rapidly. But scientists’ ability to make sense of all that information isn’t keeping up.“ Try this article and see if you agree. The article published in Science brings interesting facts about our memory and forgetting. Try also other recent memory articles of Dr. Postle. Atomwise is a startup medical device company developing supercomputers. Thought we can not directly account these as new medical devices today, this can be changed by tomorrow. „By using one of the world’s top supercomputers to analyse databases 1000 times larger than those of the past, Atomwise is delivering precise and reliable medicinal predictions. Their end goal is finding better medicines faster.“ Other worthy to watch medical device startups are introduced regularly by MedReps on their website.